Venture out of the city with trips to Fremantle Prison (in Fremantle) and Caversham Wildlife Park (in Whiteman). Dedicate the 19th (Thu) to wine at some of the top wineries in the area. 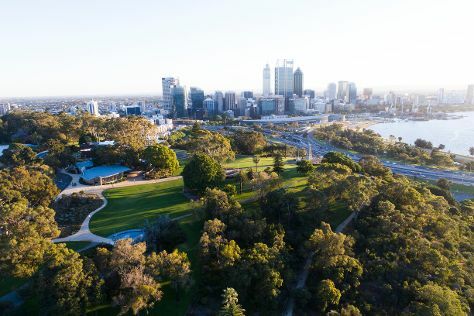 There's lots more to do: admire the natural beauty at Kings Park & Botanic Garden, get to know the resident critters at Perth Zoo, pause for some photo ops at Kings Park War Memorial, and contemplate the long history of The Perth Mint. Kuching, Malaysia to Perth is an approximately 8.5-hour flight. Traveling from Kuching in September, expect Perth to be cooler, temps between 24°C and 9°C. On the 20th (Fri), wrap the sightseeing up by early afternoon so you can travel back home.